Broad spectrum UVA/UVB Tinted SPF40 offering high protection from photo-aging. 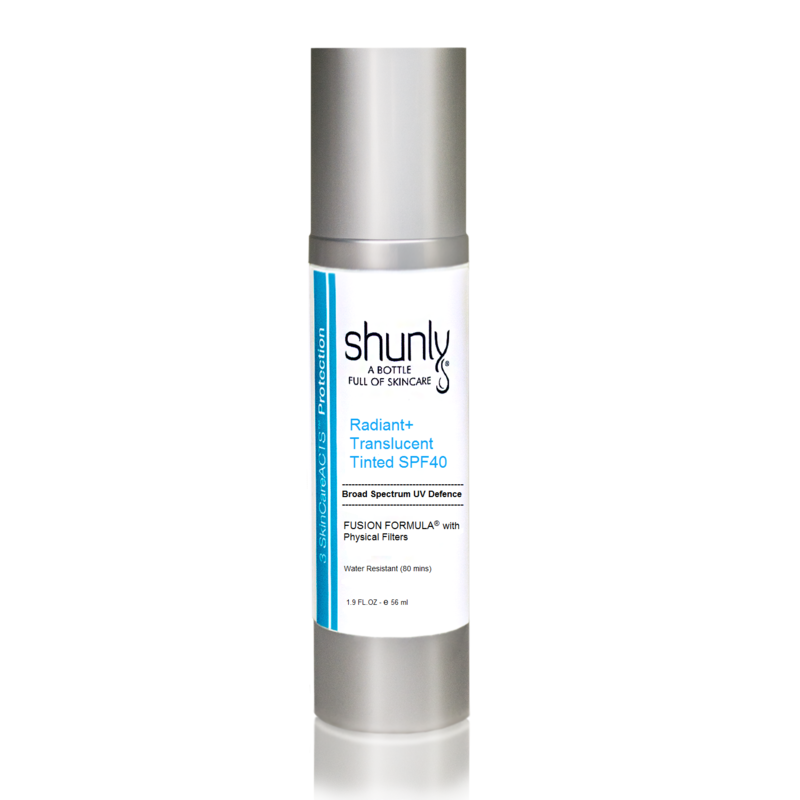 This innovative FUSION FORMULA® featuring Zinc Oxide and Titanium Dioxide is part of Shunly Skin Care; 3 SkinCareActs™ system and offers high PROTECTION level (SPF40) to skin. This unique formula tinted non chemical filters sunscreen will translucent to match with any skin color-tone and is designed for even the most sensitive skin types as it utilizes our number one and number two rated physical sunscreen filters to help defend skin against free radical production, prevent collagen breakdown and premature aging of the skin. Assimilated in a silky, soft and lightweight cream that nourishes the skin while providing superb photo protection. 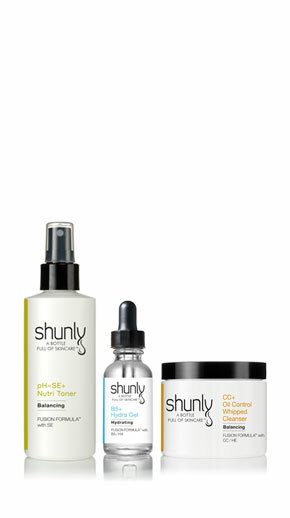 Apply thin layer generously to cleansed and toned skin, pay special attention to sun exposed areas. Re-apply if active, sweaty, or after swimming. I use this product almost everyday. I like that it gives me a light coverage of color with the benefits of SPF protection. No need for any additional foundation.